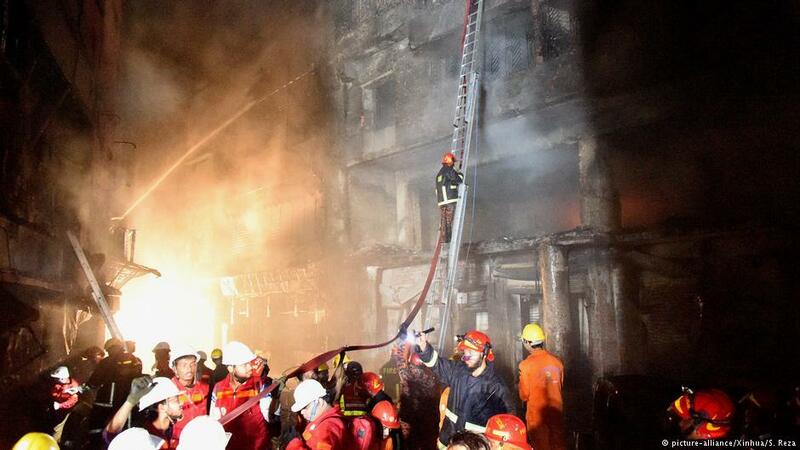 On Wednesday, in a multi-story apartment building, which was also used to store plastics, got massive fire engulfed several buildings in Bangladesh’s capital Dhaka. The death toll currently sits at 70 but fire officials expect it to rise as the fire tore through the building and leap to four others, some of which also stored chemicals, at the tight intersection. Fire officials said many of the dead found themselves trapped in their homes by the rapid progress of the fire, while some pedestrians were also killed when the fire spread to cars trapped in the narrow streets. As of midday on Thursday, the blaze was still not entirely under control despite nine hours of frantic work from firefighters. Engines had struggled to reach the area through traffic that was busy at the time, hampering their efforts. Mahfuz Riben, a control room official of the Fire Service and Civil Defence in Dhaka, said: “Our teams are working there but many of the recovered bodies are beyond recognition. Our people are using body bags to send them to the hospital morgue, this is a very difficult situation.” Fire officials said the death toll may rise as they continue to search for survivors and bodies.